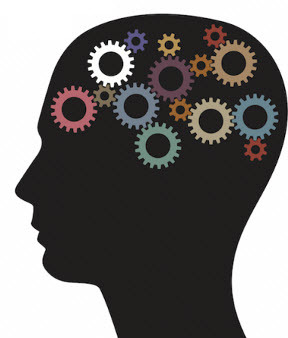 Forex Trading psychology. As a trader, do you ever wonder why you can’t achieve the results that you want to achieve? Do you find yourself constantly making the same mistakes? Are you controlled by your emotions? These are mistakes that all traders make, but the successful traders have learned how to manage their inner game. In this section, we are going to learn how to overcome the eight road blocks to successful trading. First you need to have a trading platform, trading methodology and a trading state of mind. There are multiple trading platforms and numerous trading methodologies you can use, so it’s important that you choose risk management strategy and trading platform you’re most comfortable using. But it’s also critically important to have the right trading psychology. If you don’t have the right mindset, it really doesn’t matter about your trading platform or methodology. 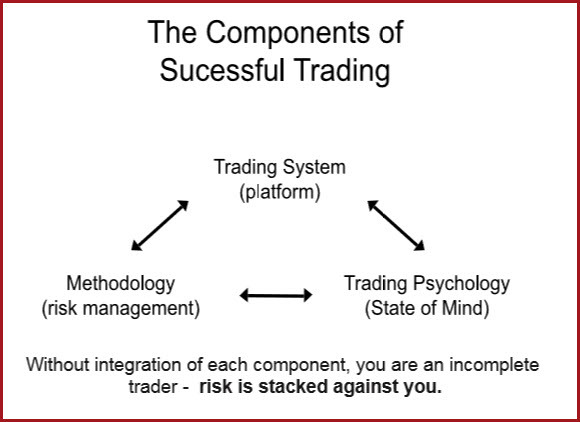 You need to have balanced integration of these three critical trading components. It doesn’t matter how good you are at knowing how to trade if you can’t hold your wits together. “80 percent of trading is in your head”. What separates the elite golfers from the rest of the field? They all have the best equipment in the industry. They have spent countless hours practicing and perfecting their craft. They know how to drive, chip and putt. So what separates the elite golfers from the rest of the crowd? They know how to do it in the clutch, when the money is on the line. This lesson is about learning how to develop the mindset of a peak performance trader – to separate yourself from the sea of traders who are inconsistent and bleed out their accounts. Since the beginning of time, our brains have been trained to see uncertainty and fear as one in the same thing. How many times have you had your finger on the trigger, but you just couldn’t bring yourself to execute the trade? How many times have you bailed out early on a trade, only to watch it run in the direction you thought it would? That is your brain perceiving psychological discomfort as a biological threat. Unless you can untangle that association, and re-train your mind, you are likely to repeat these behaviors over and over again. The markets don’t care about you. You can trade them as long as you have capital, but sooner or later, usually after drawing down your accounts, you come to the realization that you need to work on yourself if you are going to be successful at trading. Recognizing that we have been historically been wired to associate psychological discomfort (fear) with a biological threat, let’s break down the components of emotions. An emotion is how the body/brain/mind gets triggered to any disruption of a familiar status. It’s a common buzzword in trading to talk about simply taking the emotion out of trading. The reality is that the only time humans can do anything without emotion is if they’re dead. Emotions are biological and they take over our psychology. We need to accept that we are emotional creatures and that our psychology is governed by our emotions. So the key is – how do you manage your emotions? We don’t have freedom from emotions, but we can have freedom of emotions. You can become the designer of the emotions that you respond to.